Where to Taste the Best Pizza in Chicago? Did you know that Chicago is a homeland of the legendary ‘deep’ pizza? However, it’s not the only type of pizza, which is represented in the pizzerias of Chicago. In addition to ‘deep’ pizza, you’ll find there lots of the other kinds of this tasty dish: New York pizza, New Haven pizza, and of course Neapolitan pizza. There are not so many tables in this pizzeria. This is because the interior of this establishment allows not only to eat pizza but also to enjoy the whole pizza-cooking process. It looks incredibly impressive. Their New York-style pizza is thin, crispy and full of filling. It’s amazingly delicious. Pizza is flavored only with olive oil, ricotta and some spices. It will be perfect if you manage to find a free table, because it’s recommended to try your pizza hot. Burt’s Place is the antique-furnished pizza restaurant with jazz music offering unique pizza with crunchy dough and almost burnt crust. The ingredients in the pizza include fresh vegetables, three-color peppers, Portobello mushrooms, Italian sausage, and piquant sauce. The owners of the Burt’s Place – Katz and his wife Sharon are very hospitable, so you can feel there like home. Brick walls and plasma TVs came to replace the shabby billiard tables and old dartboards at the Pequod’s Pizza. However, its excellent pizza has remained the same – with a ring of baked caramelized cheese on the edges of a crispy crust. Put aside snacks, salads and sandwiches. Finally, it will be better to taste a meat pie with perfectly flavored spicy slices of pork. Piece is a great spot to taste thin-crust pies in a sports-bar setting. But there are 2 simple things that distinguish this place from the usual sports bar: excellent brewery and masterfully cooked pizza. Crispy bottom of pizza withstands a lot of weight, so after you choose the type of pizza – with a white or red sauce, barbecue or New Haven – start to choose your favorite fillings. If you want to taste New Heaven-style pizza, be sure to add the bacon and shellfish. Reno is a cozy casual spot which serves bagels and wood-fired pizza in a relaxed atmosphere. From morning till afternoon Reno is a common self-service cafeteria, and only in the evening waiters start to cater the tables. In addition to tasty pizza, Reno also offers amazing homemade pasta and Crazy Salad made of Japanese cabbage and incredibly spicy sauce. 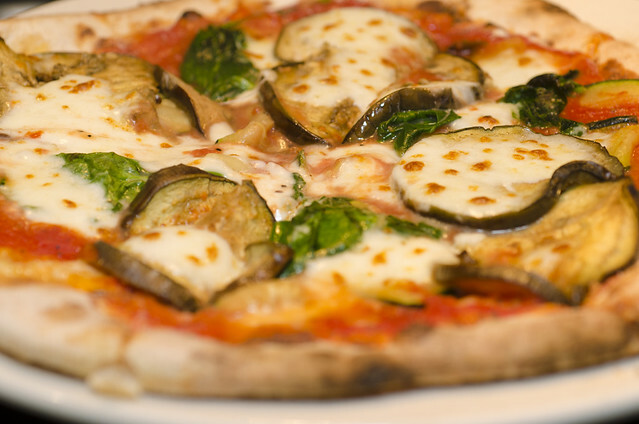 Spacca Napoli specializes in real Neapolitan pizza. This establishment is famous for its special wood burning oven which produces pizza with perfect forms in less than 2 minutes. The dough for pizza is made by hand, which makes it thin and full of unforgettable taste of real Neapolitan pie. In addition to the simple tastes of ‘Marinara’ or ‘Margarita’, you can also add something unique to your pizza – from sausages with fennel to broccoli wrapped in thin prosciutto. Espresso or limoncello will be an ideal supplement for your dinner. Vito and Nick’s has started to produce excellent pizza in 1965, and nowadays it’s considered to be the best establishment of the city offering Chicago-style pizza. Crispy and delicious crust, spicy sauce and high-quality meat fillings – this is what advantageously distinguishes the Vito and Nick’s from other pizzerias specializing in thin crispy dough. The waiting time of the order on weekends may be a little longer there, so just take a drink and enjoy the true spirit of Chicago. As you can see, Chicago offers a great diversity of pizzerias specializing in different pizza styles. So, choose your favorite one and enjoy it! By the way, we recommend you to rent a car for getting around Chicago in case you want to reach any of these establishments quickly and easily. Author Bio: Lily Berns tries to find the best and brightest things to do, while you travel in different cities of the world.